DANIELSON LINE CUTTER WITH SPIKE This stainless spring steel tweezers-type nipper is designed for cutting and trimming fishing line. 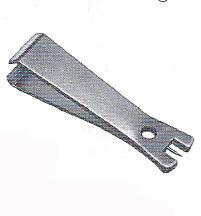 Features include a recessed spike and a hold for attaching a lanyard. One per package.